Have you been itching to get behind the wheel of a new luxury Mercedes-Benz coupe or convertible? 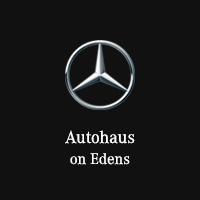 Find exactly what you’ve been looking for at Autohaus on Edens in Northbrook, IL by looking through our vast selection of luxury coupes and convertibles. Narrow down your search by price, model, year, and other options using the tools below. Once you’ve found the one you desire, schedule a test drive or call (847) 272-7900 to talk to a product specialist directly.